Well now we know what happens when I’m left to my own devices. I make popsicles in the dead of winter. …on the same morning I scraped a layer of ice from my car windshield. Just part of an effort to distract myself from the endless monotony of grey and rain that is life right now here in the Pacific Northwest. 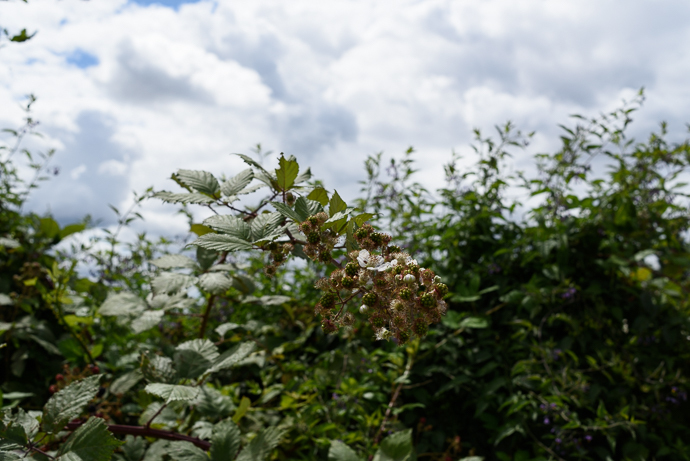 Maybe it’s a seasonal affective disorder talking, but this time of year I start really missing fresh summer berries. Not to mention daylight. 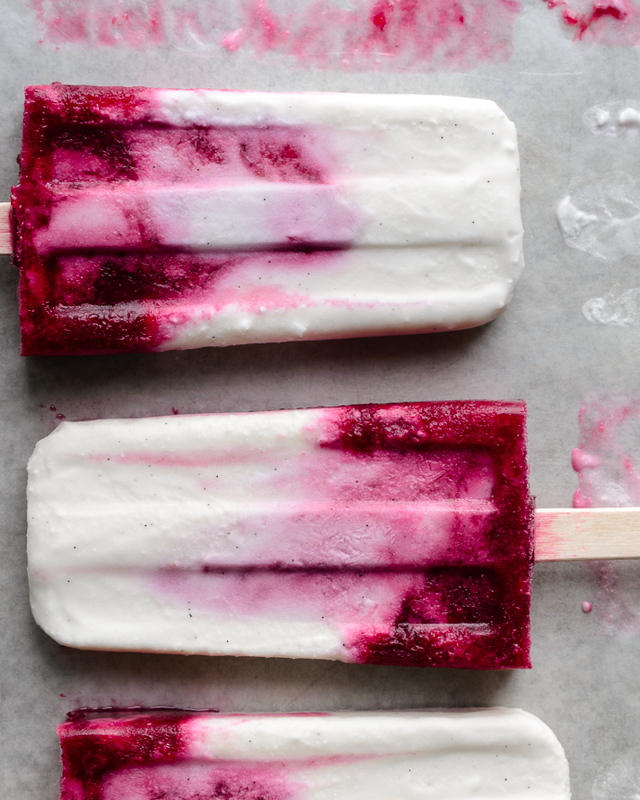 So, I’m happily daydreaming of blissfully long summer days, sunny skies, warm breezes, market produce, and berry juice dribbling down our chins, with these creamy coconut and mixed berry popsicles. Of course, our freezer always has local berries in it – generally ones rescued at the last moment from spoiling because I once again bought too many. But you know this. I’ve made a good dent in last year’s supply (that’s what I’ve used here), and in the interest of creating some healthy sweet treats, channeling warmer days, and going bright pink (!) for Valentine’s day, I whipped up a batch of these creamy, vanilla-specked, berry swirled treats. 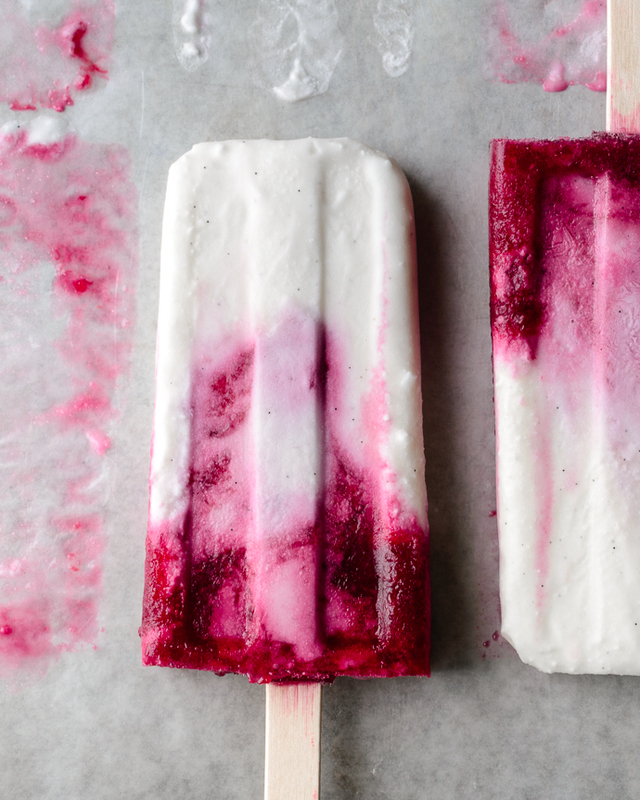 These vibrant, sweet beauties are based off of the creamy blood orange and coconut popsicles that I shared a few years ago around this time, during a major snowstorm, no less. Some things never change, do they? Whipping up a batch of these sweet and tangy pops is as easy as digging your popsicle mold out from the back of the pantry, and blending up a few simple, wholesome ingredients. Blackberries and raspberries – or whatever you have on hand – are blended together with a bit of honey, then layered or swirled with creamy, vanilla bean dotted coconut milk. Super, duper simple. I think these actually taste better when they’re completely blended together, although the ombre-vibes are prettier, so take your pick. 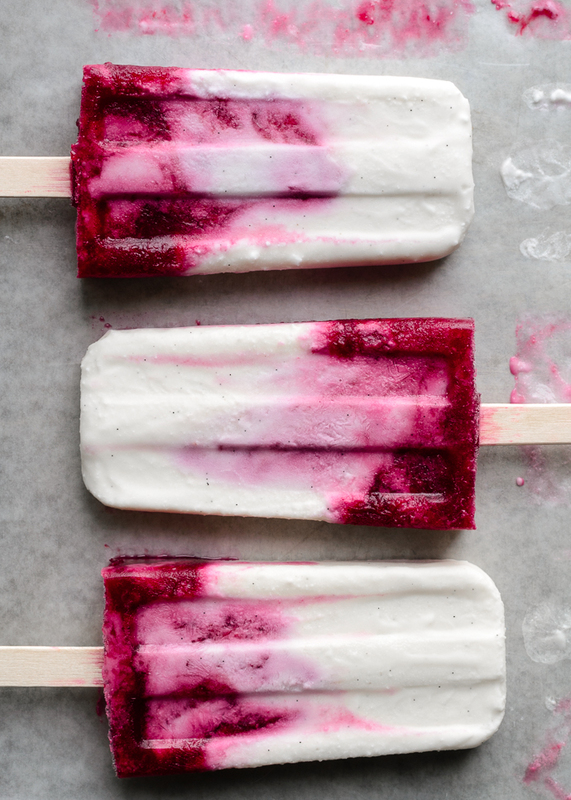 The resultant creamy, vibrantly pink, mixed berry popsicles are free of refined sugar, can be made vegan if you swap out the honey for maple syrup or agave or cane sugar, and are guiltlessly indulgent, yes, even in the middle of winter. You can make these pops with any berries of your choosing, and really any pureed, seasonal fruit (like winter citrus! ), adjusting the sweetness as necessary to your personal tastes. Whisk together the coconut milk, vanilla and 2 Tbsp of the honey, until smooth and creamy. Set aside. Blend together the berries and remaining honey, until smooth and combined. Add more honey, to taste, as necessary. 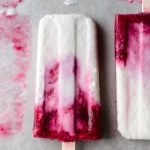 For a creamy pop: Stir together the coconut milk and berry puree, and divide evenly between the popsicle molds. Freeze for 30 minutes, then insert the popsicle sticks, and continue freezing for 4 hours, or until firm. 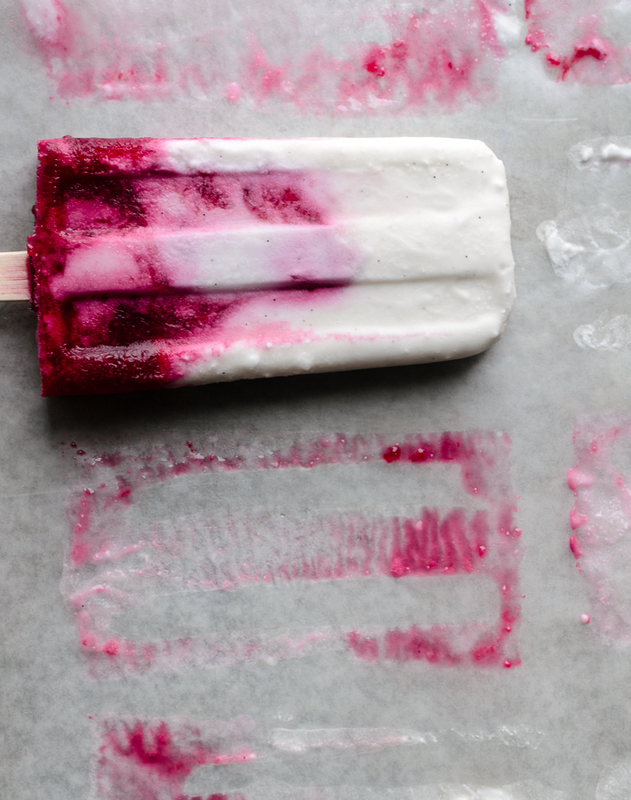 For a layered pop: Divide the coconut milk equally between the popsicle molds. 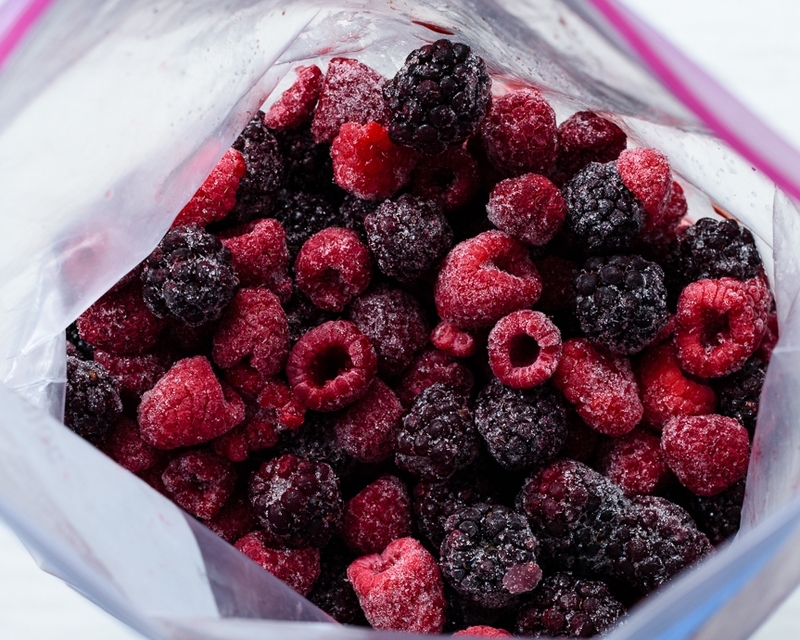 Place in the freezer for 10 minutes, or so, then top with the berry puree. Freeze again for 30 minutes, then insert the popsicle sticks and continue freezing for 4 hours, or until firm. 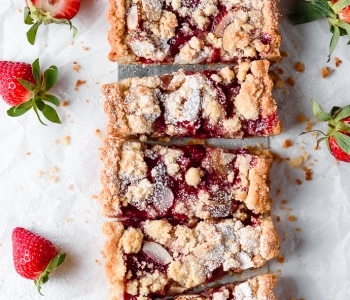 Use any combination of your favorite berries, adjusting the sweetness level as necessary. 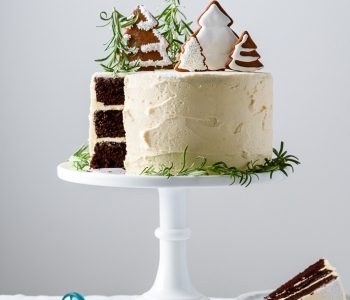 Remember, the sweetness will mellow once frozen. You can substitute granulated sugar, agave or maple syrup for the honey, if you prefer. I was looking for a copycat recipe for Weis dairy free Acai and Boysenberry ice cream bars. I had one on a recent trip to Australia and fell in love. 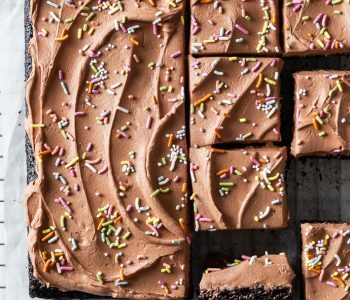 This recipe did not disappoint. I used Acai purée, blackberries, and half a frozen banana for the fruit mixture. Turned out perfectly! The only thing (and this was my fault)—I didn’t have popsicle molds so I improvised with a casserole dish and tried the layered option. My popsicles were a little on the thin side because the dish I used was too large. 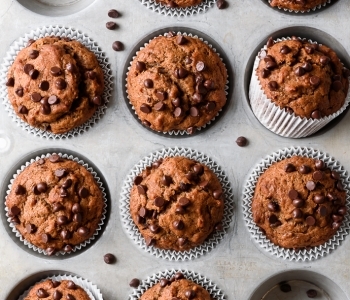 BUT, they still taste delicious and were SUPER easy to make! Oh my Laura! These look so delicious. Not to mention, it is such an easy recipe to make. 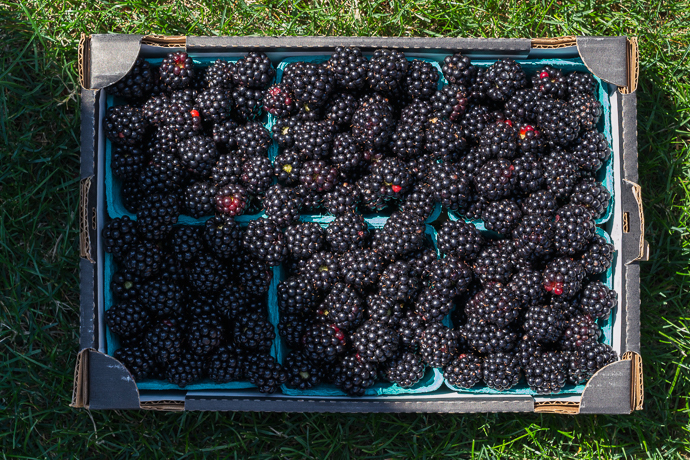 Those fresh berries look delicious — especially this time of year. Yum! Hi Candace! I haven’t tried this mixture in an ice cream maker, but I think it definitely has potential. 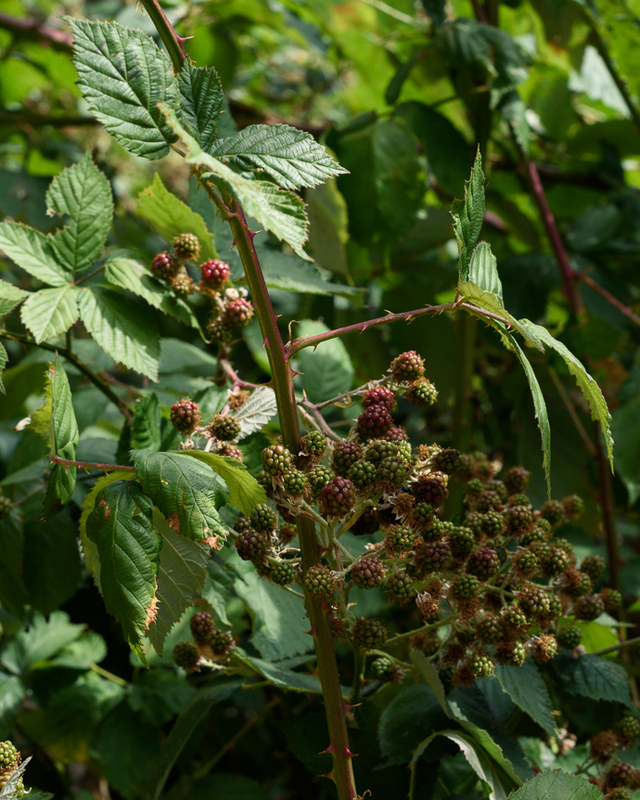 I’m a big fan of coconut milk ice cream (just be sure to use full-fat), and I think with the berries it would end up being a lovely ice cream/sorbet hybrid. I also usually add a teaspoon or two of arrowroot starch to my homemade ice creams/frozen yogurts to help keep the texture nice and creamy. I would love to know how it turns out if you try!